We believe in the positive power of creativity in every person. We believe that creative practice serves health and wellness. We believe in the holistic nature of Expressive Arts, as it engages the whole person – body/mind/spirit. We embrace the practice of an Intermodal or Integrative Arts approach. We believe that the creative process and art-making itself is healing and transformational. 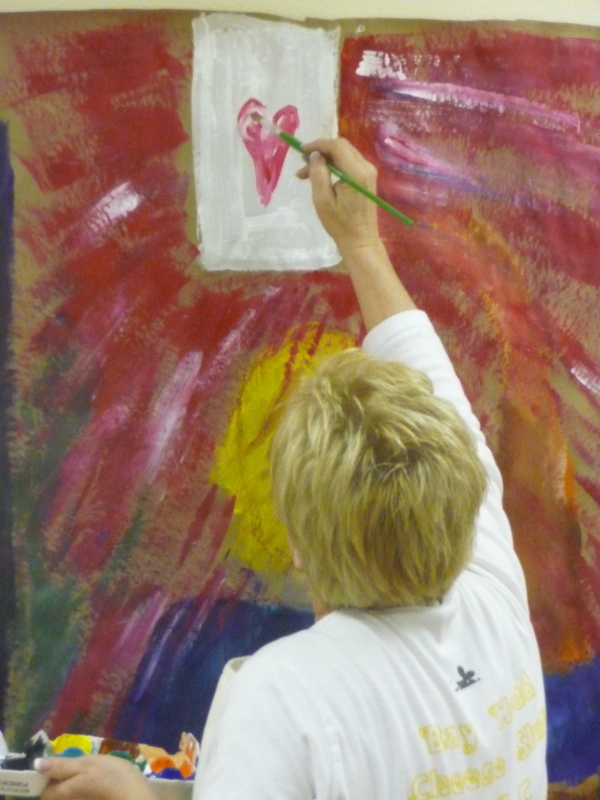 Our approach to interpersonal Expressive Arts work is that of “bearing witness”, so that the person, group, or community may see him/her/itself more clearly and discover new possibilities for healing. Our focus is on the health-giving nature of Expressive Arts. We believe that Expressive Arts can be practiced ethically and effectively in a wide variety of settings by a wide variety of trained practitioners. We believe in, and practice, an experiential learning approach, supplemented by readings, presentations, and written and arts-based assignments. We believe that it is essential for the practitioner of Expressive Arts to be engaged in their own personal Expressive Arts practice. We believe in collaborative and community art making as a path to building relationships, community wellness, and social change and planetary healing. Our work is grounded in the cycles and lessons of the natural world. Our goal is to practice our work within an environmentally sound model that fosters sustainability.